De'Andre Johnson is hoping to come back strong after blood clots ended his 2017 season early. Photo by Alexander Rodriguez. 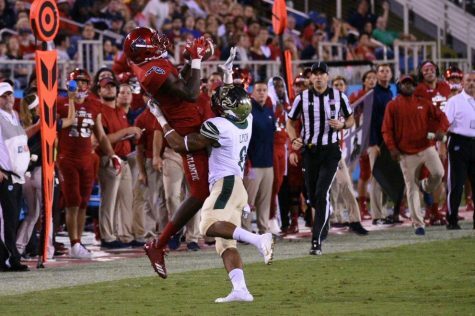 FAU’s meteoric rise to gridiron prominence was nothing short of theatrical a season ago. Now, coach Lane Kiffin is preparing for a sequel in year two, but his team will have a new quarterback leading the show. Kiffin’s decision isn’t easy. He has four talented quarterbacks, all with four unique stories. But only one can seize the starting role. Florida’s 2014 Mr. Football, De’Andre Johnson, was once the highly touted heir apparent to Jameis Winston at Florida State. However, an off-field incident and subsequent transfer to East Mississippi Community College led him to FAU after having never thrown a pass in the garnet and gold. 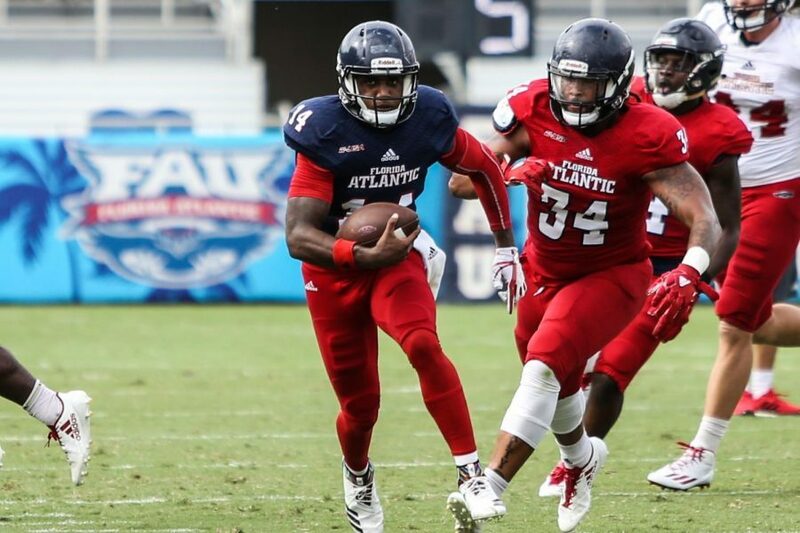 Despite being the longest tenured FAU quarterback in the four-headed competition — having signed to the program in December 2016 — Johnson doesn’t have the Division I game experience one may expect. The former Seminole threw just three passes in his debut season with the Owls — blood clots forced him out of action midway through the year. The redshirt-junior claims his arm is back to 100 percent following the injury scare, and that the trying experience brought him closer than ever to the game he loves. Johnson resides in the same spot he was in this time last season — battling for a starting position well into fall camp. 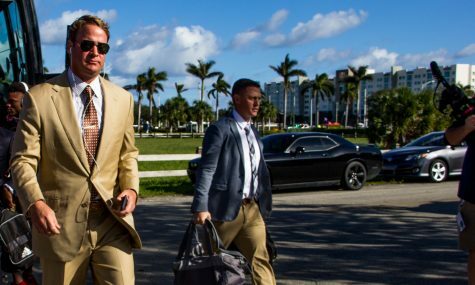 But, with full health and an extended knowledge of the playbook at his side heading into year two, he is prepared to take the reigns of Kiffin’s offense. For him, it starts by challenging the man in the mirror. Despite Johnson’s self-motivation methods, the reality is that there’s another quarterback he needs to beat out. And he wasn’t short on high school accolades, either. Out of thousands of high school prospects, just six pro-style quarterbacks were ranked ahead of Chris Robison in the 2017 recruiting cycle.The Texas native parlayed that illustrious high school reputation to a scholarship from Lincoln Riley’s Oklahoma Sooners. But his time in Norman, Oklahoma, was cut short. 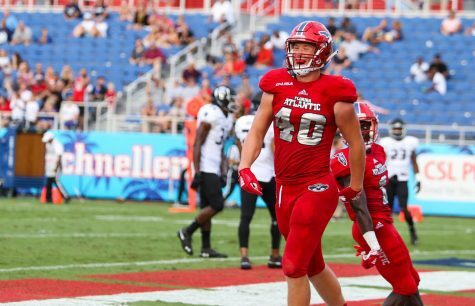 Robison was dismissed from the team last August for reportedly violating team rules, and less than two weeks later, he enrolled at FAU. NCAA transfer rules made Robison ineligible last fall, but he still managed to build on-field chemistry with his teammates by practicing with the scout team. And the chemistry he developed with one teammate in particular may help the redshirt-freshman’s chances for the starting position this season. 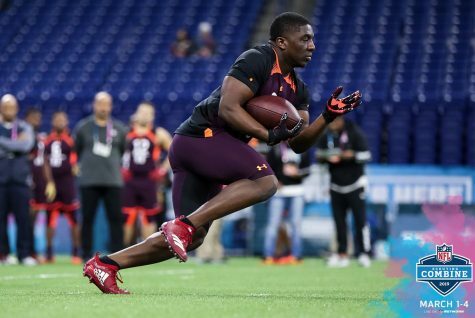 Robison’s scout team status gave him an opportunity to work extensively with West Virginia transfer Jovon Durante, who was also forced to sit out because of transfer rules. 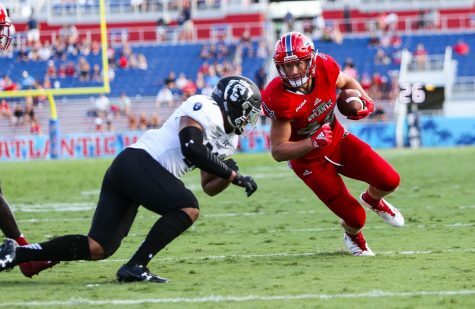 Durante figures to play a big role in the FAU passing offense going forward, and being in sync with one of the team’s top receivers can only be a benefit to Robison as he looks to get an edge on the competition. With the former healthy and the latter eligible, Kiffin had all eyes on the two aforementioned quarterbacks this spring, as each made their first cases for winning the 2018 starting job. Although when it comes to his up-tempo offense in particular, a fine-tuned brain may prove as valuable as a top-level arm. The battle was tightly contested all spring — with neither quarterback winning the competition outright — but what did reveal itself were the strengths and weaknesses of Johnson and Robison’s skill sets. 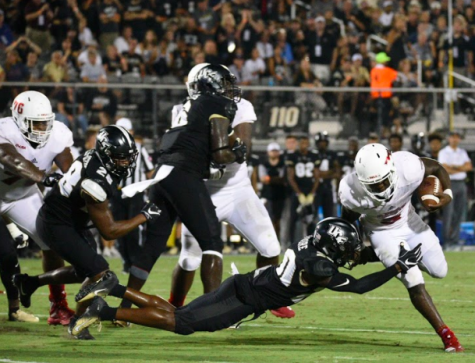 While the two quarterbacks’ paths to FAU are similar, their games vary greatly. Johnson showed great touch as a passer, often making precise throws through tight windows in the short to intermediate game. Where he can improve is arm strength on the deep ball, as some of his long attempts fluttered short of their intended targets when wind picked up in practice. Unlike Robison’s competitor, arm strength is the least of his worries, as he flashed a cannon for an arm throughout spring practice. While elite arm talent obviously has its benefits — highlight plays, expanded play calling possibilities — it can force passers into making ill-advised decisions with the football. Robison showed he was unafraid of firing risky passes into downfield coverage. But, while many of those plays ended in scores, others, to Kiffin’s dismay, resulted in ugly turnovers. He did however get the better of his fellow signal caller in the 2018 spring game, tossing a touchdown in a win over Johnson’s squad. If Robison were to win the starting job for opening day, he would be suiting up against his former team, the Oklahoma Sooners. Will Kiffin trust the steady, accurate arm of Johnson? Or the explosive one of Robison? His answer will likely be based on the qualities he values most at their position: “Commanding of the offense and taking care of the ball is the No. 1 thing.” Kiffin said. 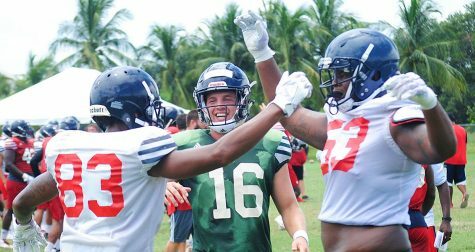 The dark horse in FAU’s quarterback competition has yet to experience his first collegiate season. 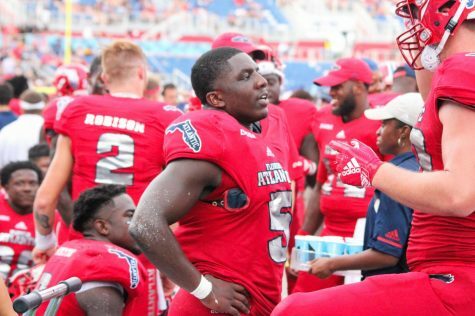 Freshman Cordel Littlejohn is now fighting for a spot in the Owls’ starting quarterback conversation, but just a few months before inking his letter of intent last February, he had a far different idea of where he was going to play next. 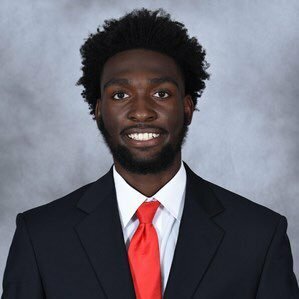 The North Carolina native committed to the University of Illinois in August of his senior season at Roswell High School, but less than a month after he announced his college decision, Littlejohn said his scholarship offer was rescinded. It certainly didn’t hold Kiffin back either. 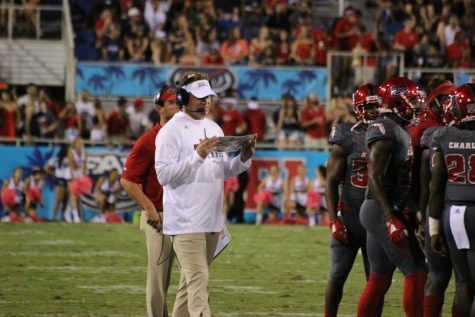 He quickly focused his sights on Littlejohn, making him the first quarterback signee for FAU since his hiring. Kiffin, one of the nation’s most distinguished recruiters, was puzzled by his peers’ lack of interest in Littlejohn coming out of high school. 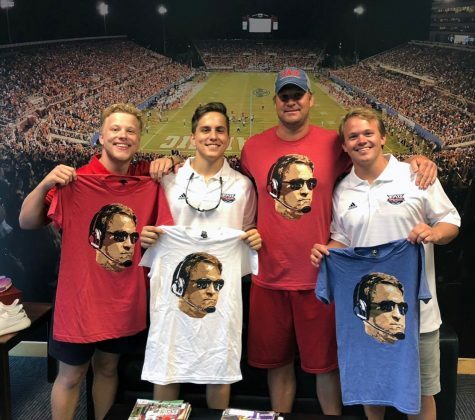 If there is any coach in college football that knows the upside of having a young quarterback at the helm, it’s Kiffin. While serving as Alabama’s offensive coordinator in 2016, the Owls’ coach won a national championship with then-freshman signal caller Jalen Hurts. 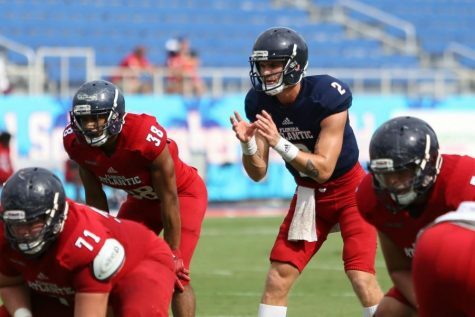 Though he likely won’t be the starter as a freshman considering the talent and pedigree of the two players ahead of him, Littlejohn has the potential to be FAU’s quarterback of the future. An already heated quarterback race gained even more intrigue with the addition of a fourth passer late in the process. 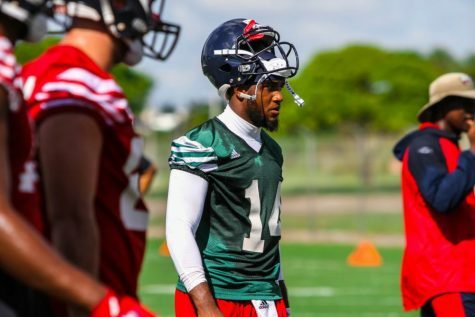 Graduate transfer Rafe Peavey joined the Owls midway through fall camp, adding yet another wrinkle to the highly contested position battle. Rafe Peavey is attempting to win a starting quarterback job on his third Division I team. Photo courtesy of owlaccess.com. An Under Armour All-American coming out of high school, Peavey has yet to translate his prep success to the college game. He started his career as a backup at Arkansas, then transferred to Southern Methodist with hopes of landing a starting job with the Mustangs. It didn’t work as planned. After sitting his sophomore year because of transfer rules, the Missouri product threw only four passes as a junior in 2017— one of them being a touchdown strike. Now playing on his third Division I team and in his final season of eligibility, time is running out for the former blue-chip prospect to live up to his lofty early career expectations. 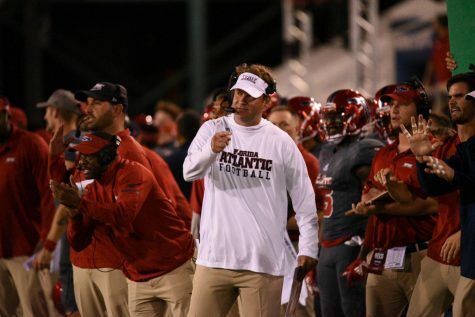 If he can lead the Owls to a second consecutive Conference USA championship victory, he can do exactly that. So the question stands: will fans witness a daring comeback from injury, a triumphant return to old stomping grounds, a surprise freshman sensation, or a player capitalizing on his final chance to shine at the collegiate level? Time will tell, but whatever quarterback earns the starting nod, the show will be well worth the price of admission.